50th Wedding Anniversary Card, with the numbers for months, weeks and days since the wedding. This card is perfect to buy your husband or wife on your golden wedding anniversary, but also suitable to be sent from any family member or friends too. 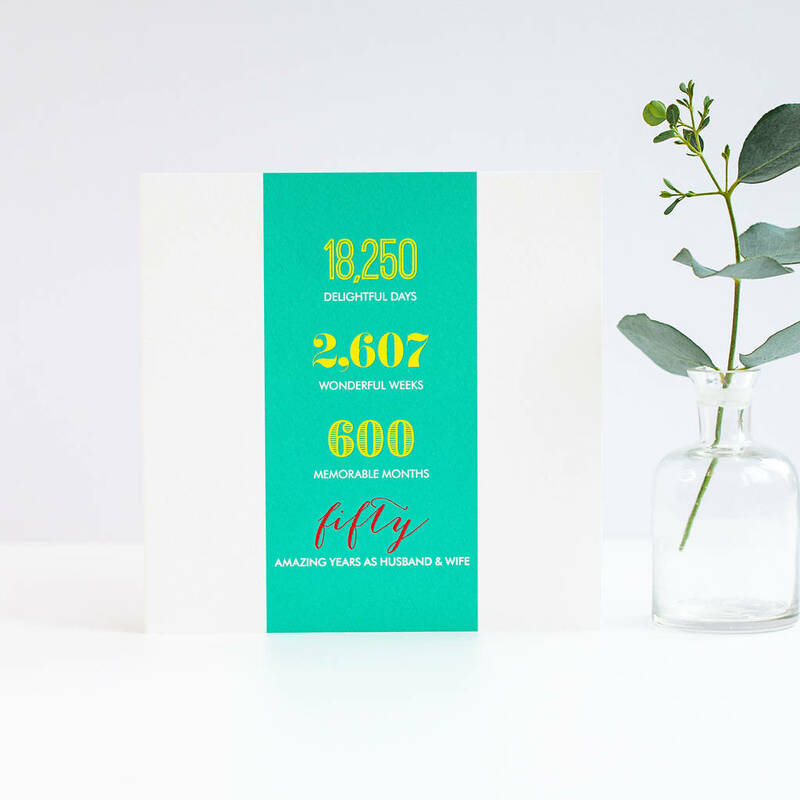 It is printed on luxury textured off white card and is left blank inside to write your own message. It is provided with a bright yellow envelope. 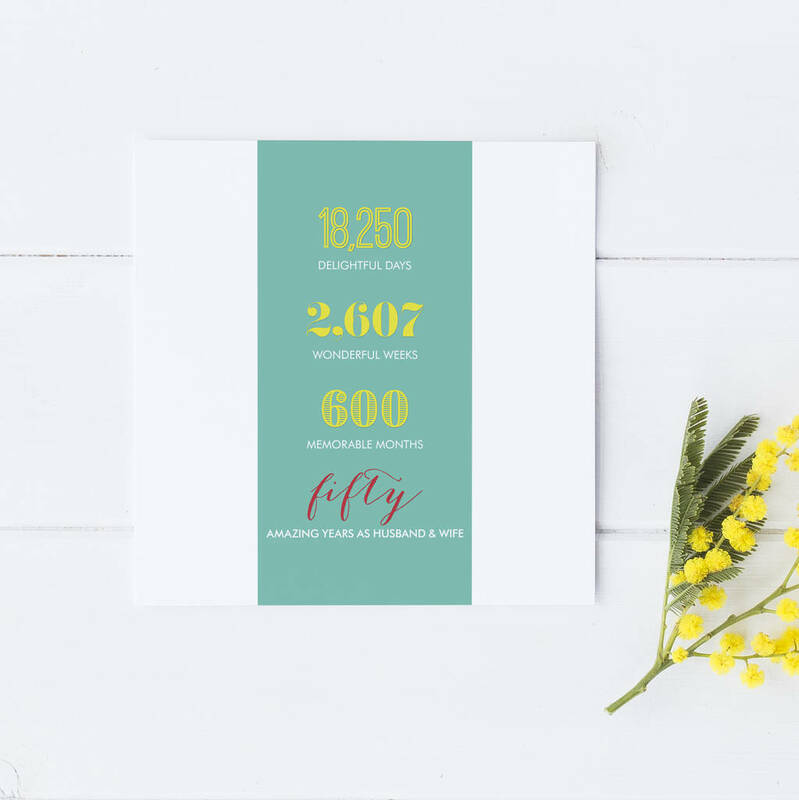 Designed by Intwine, see sellers range for cards for other occasions including the best selling year cards for those milestone birthdays. You can now choose to send this card direct to the recipient, which is perfect if you are overseas, in a hurry or want to save on some postage. 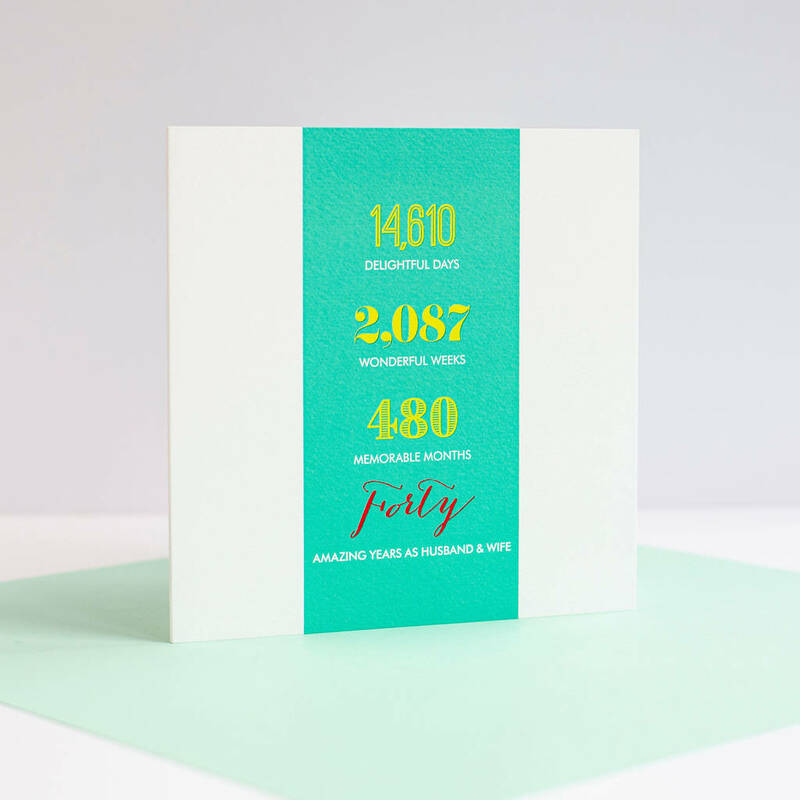 Cards chosen with this option will include the message handwritten exactly as specified in the text box provided, and sent in the kraft envelope directly to the contact name and delivery address provided. Please check delivery name/address when ordering.